Zener cards are cards used to conduct experiments for extra-sensory perception (ESP), most often clairvoyance. Perceptual psychologist Karl Zener designed the cards in the early 1930s for experiments conducted with his colleague, parapsychologist J. B. Rhine. Originally, tests for ESP were conducted using a standard deck of playing cards. However, there are many confounding variables involved with this methodology. When this methodology is used, a participant is only credited a correct prediction for guessing both the number and suit of the card. This means that the chance of correctly guessing a card becomes a lot lower, and there is a lot of ambiguity involved with statistical analysis. Another problem with using playing cards is that many people will have a preference for a particular card, number or suit (Irwin 1999) and will constantly suggest that as their prediction for the next card that will appear. This led to the development of a set of cards known as Zener cards, invented by Karl Zener. There are just five different Zener cards: a hollow circle (one curve), a Greek cross (two lines), three vertical wavy lines (or "waves"), a hollow square (four lines), and a hollow five-pointed star. There are 25 cards in a pack, five of each design. When Zener cards were first used, they were made out of a fairly thin translucent white paper. 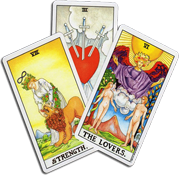 Several subjects or groups of subjects scored very highly until it was discovered that they had often been able to see the symbols through the backs of the cards. A redesign made it impossible to see the designs through the cards under any conditions. A subsequent deck featured an illustration of a building at Duke University on its reverse side, but the use of a non-symmetric reverse design allowed the deck to be exploited as a one-way deck. 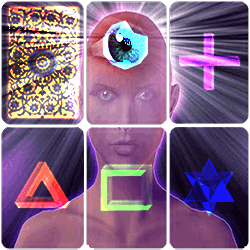 In a test for clairvoyance, the person conducting the test (the experimenter) picks up a card in a shuffled pack, observes the symbol on the card, and records the answer of the person being tested for extra sensory perception, who must correctly determine which of the five designs is on the card in question. The experimenter continues until all the cards in the pack have been tested. Third parties may oversee or videotape an experiment to make sure it is conducted fairly. 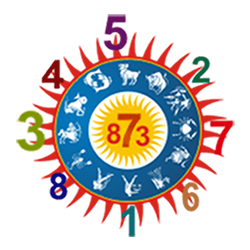 While it is especially important to ensure that the subject cannot see any cards and does not receive any vocal or visual clues from the experimenter, other methods of cheating are possible. To this end, physical separators may be placed between the experimenter and the subject. As with other ESP tests, experiments with Zener cards have used elaborate methods to keep the subject from seeing the cards or the experimenter, sometimes placing the subject in a separate room. If the subject is informed during the test that specific guesses were correct or incorrect, card counting can increase his or her accuracy; also, poor shuffling methods can make the order of cards in the deck easier to predict. In his experiments, Rhine first shuffled the cards by hand but later decided to use a machine for shuffling. Online variations of Zener card tests currently exist on the internet. If properly constructed, tests of this nature can circumvent the issues of bias and cheating common to standard Zener card tests. One such online system, the Anima Project, gathers user results into a master database which is then analyzed using a variety of statistical techniques. Although Zener cards are usually used to test for clairvoyance, they may also be used to test for telepathy, in which case one subject will draw a card and attempt to mentally project the image on it to the mind of another subject. Here, the statistical tendency of the receiver to report a specific design must be taken into account - for example, he or she might tend to report receiving an image of a square more than other images - so the deck used must contain an equal number of cards of each design. Zener Cards because of the studies of the famous parapsychologist J.B. Rhine have now become the standard for such extra sensorial tests. There are some variations of the Zener cards test, some are using a closed deck of cards, 5 groups of each 5 cards or an open deck, each cards are randomly selected from a deck shuffled at each turns. The following test is an open deck, since a card is randomly generated from a shuffled deck every time. The card is also chosen before you have to guess. There are some feedback messages at the bottom while you do the test, you can decide to ignore them or read them during the test. Some people may perform better if they are not distracted by it. A real test requires at least 25 picks to be statistically significant and a score of 10 correct guesses or more out of 25 is required to prove some degree of psychic abilities. Statistical laws dictate that there's 1 chance in 5 of getting the card by pure chance (overall score of 5/25), along with a certain degree of variability (between 0/25 and 10/25). Scores over 10 would therefore be significant. For a thorough evaluation, one should take the test many times (10 or more) for truly conclusive results. Can you guess what card is it?